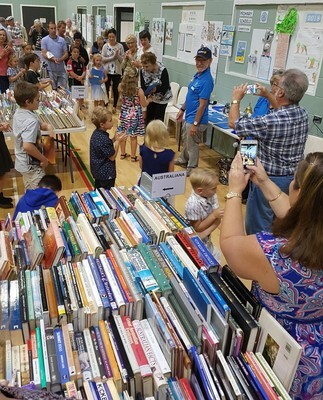 Rotary Noosa Daybreak are again holding their annual Bookfest over three days from Friday 3 to Sunday 5 May, open 9am to 5pm at the Noosa Leisure Centre, in Wallace Drive, Noosaville. With a record number of quality books for sale at bargain basement prices, everyone is assured to grab a great buy. To keep the kids amused, there is a Children’s Corner with books and entertainment, plus hidden prizes to win. There will also be a barbecue and drinks stall operating for your enjoyment and throughout the event there will be a display of the Finalists’ and the Winners’ entries of the Primary Schools Students’ Competition. With fresh stock going on display every day, you can browse for three days and build your new library to tide you over for the coming year. 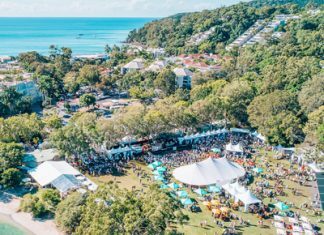 Most importantly, funds raised at the Bookfest Noosa will go directly towards Mental Health Research and Suicide Prevention in the Noosa and Sunshine Coast region. Around 25% of Australians who are exposed to traumatic events, develop Post Traumatic Stress Disorder (PTSD). Australian Rotary Health is committed to funding PTSD research to learn how to help the wide range of individuals who experience it. Book donations to the Bookfest Noosa may be dropped off at the main entrance of Noosa Leisure Centre, in Wallace Drive, Noosaville. If you have large donations that require pick-up or have an enquiry about Bookfest contact Rotary Noosa Daybreak on 1300 791 226.